Rose City Model Flyers - M.A.A.C. 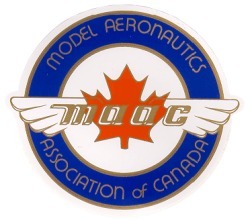 MODEL AERONAUTICS ASSOCIATION OF CANADA. Most people are attracted to the sport of radio controlled model aircraft after seeing one in flight. Of course, that is the most enjoyable part of the sport for most of us, but there more to it than just flying. Students & pilots may choose a variety of methods to build their own aircraft, from scratch built to kits or even ARF’s (Almost Ready to Fly) while learning useful skills such as woodworking, using small hand tools, finishing, painting etc. Small, yet powerful engines are available to power the models and will present a whole new challenge for you to master. You may choose from glow, gas or electric power systems. Whatever part of the sport excites you the most, there is plenty to enjoy and plenty to learn. This is the type of hobby is recommended for teenagers by many educational professionals, as it offers a wholesome method of learning new things while having fun! ROSE CITY MODEL FLYERS, Inc.
RCMF is a registered club member of MAAC and is located with "Zone E - Middle Ontario"
There are 26 clubs in this zone. For more information, please view the club list or the zone map.